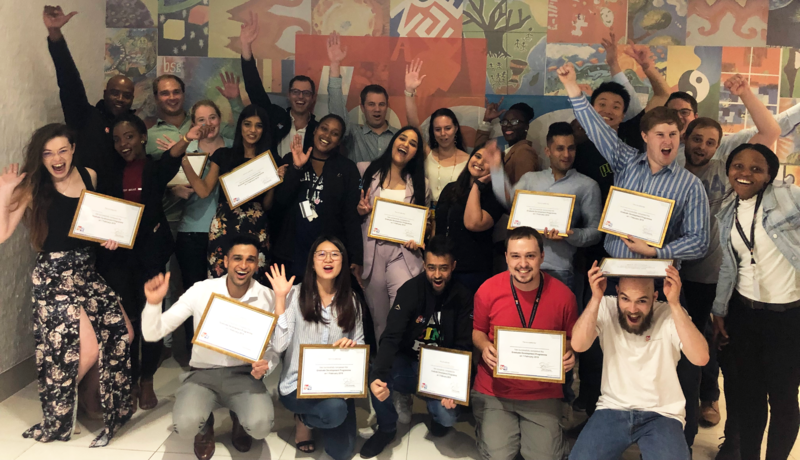 In January 2019, a year of accelerated learning and practical experience has ended on a high as 15 talented members of the BSG team completed the BSG Graduate Development Programme (GDP). BSG’s GDP is a year-long blended learning programme aimed at facilitating structured growth. It incorporates formal training and experiential learning via projects. BSG’s GDP develops IQ and, very importantly, EQ competencies. The latter being a critical element to succeed within consulting. 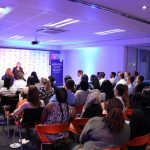 BSG has been in business for over 20 years, and has, since its founding, been passionate about developing local talent. 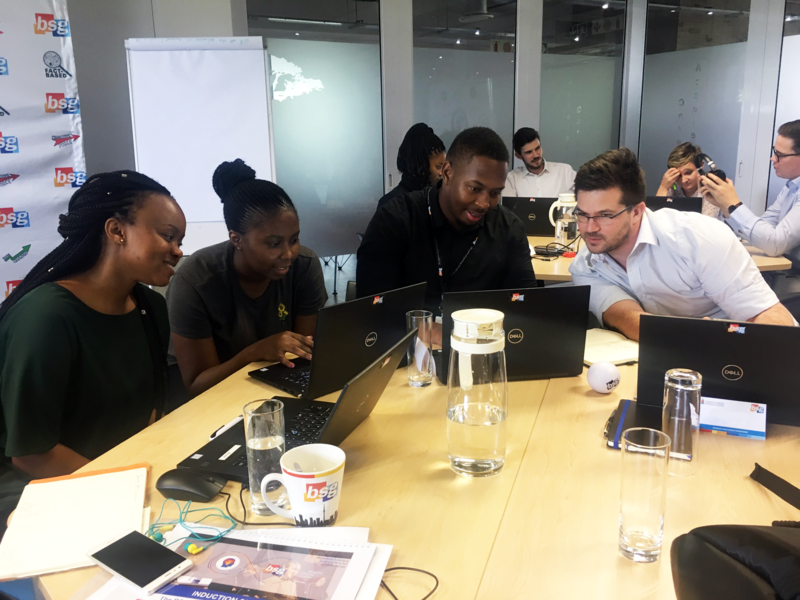 GDP is just one of the many tangible ways in which BSG demonstrates commitment to the development and growth of talent in South Africa. 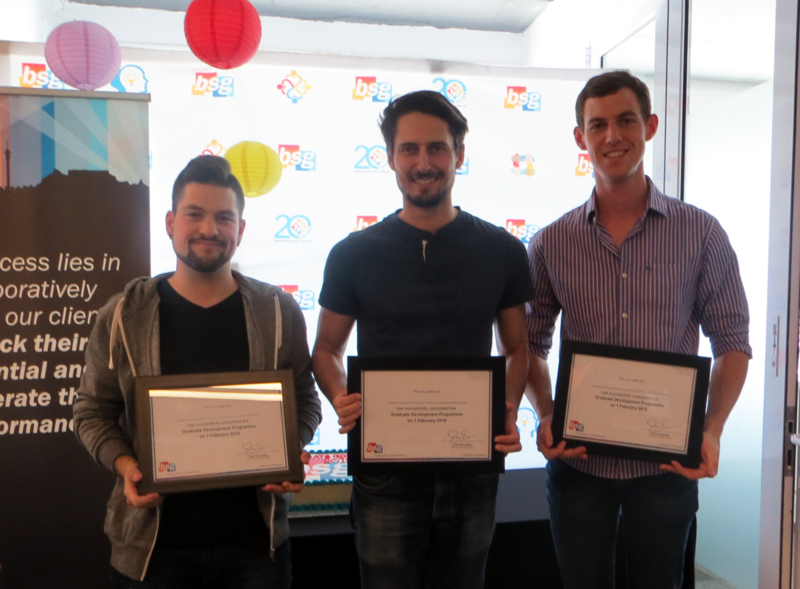 In January 2018, 15 Information Systems, Computer Science and Data Science Honours and Masters graduates started their career journey as consultants at BSG. A year later, they graduate from the GDP programme at a formal ceremony, celebrating their growth and achievements throughout the journey. 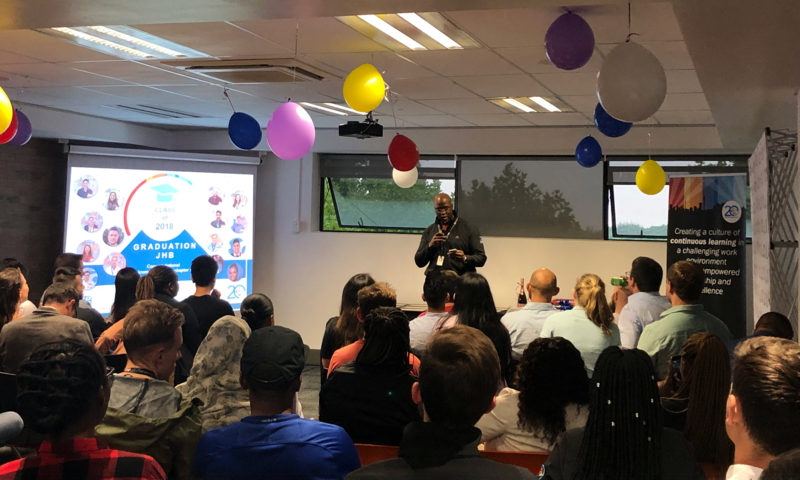 BSG is a homegrown South African consulting and technology company with a proud history of using common sense to simply get the job done, as such, the need for consultants to develop knowledge, skills and attributes to the highest level is a necessity. 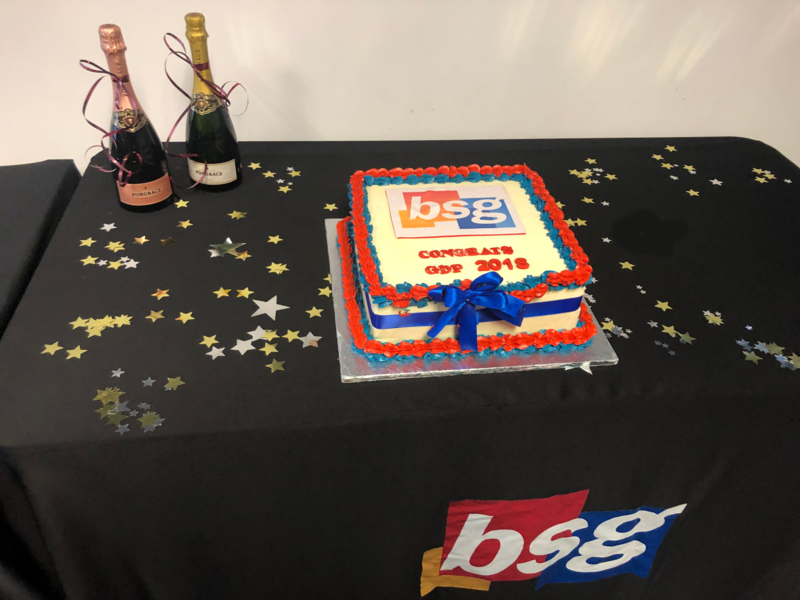 The 2018 GDP group graduation proved beyond a doubt that the value of delivering excellence, which is so important within BSG, had been achieved! 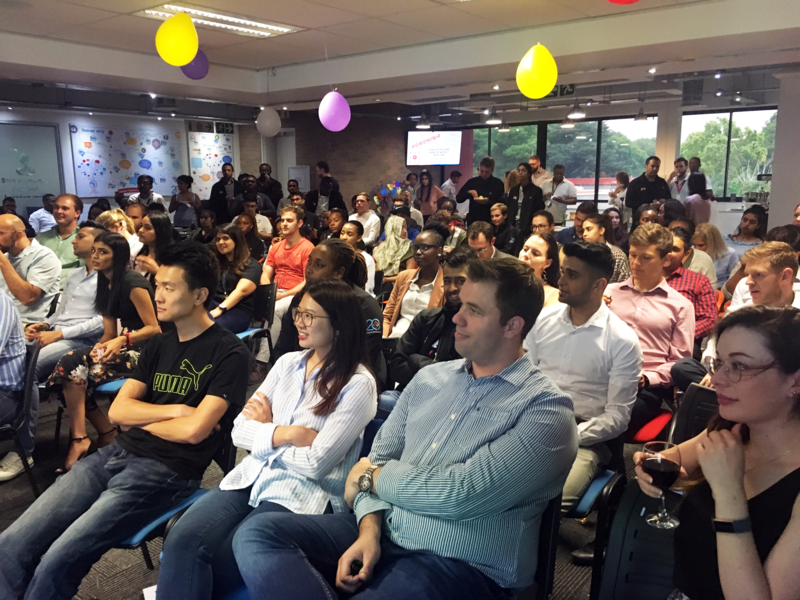 On 28 January 2019 BSG welcomed their most recent group of Honours and Masters graduates. 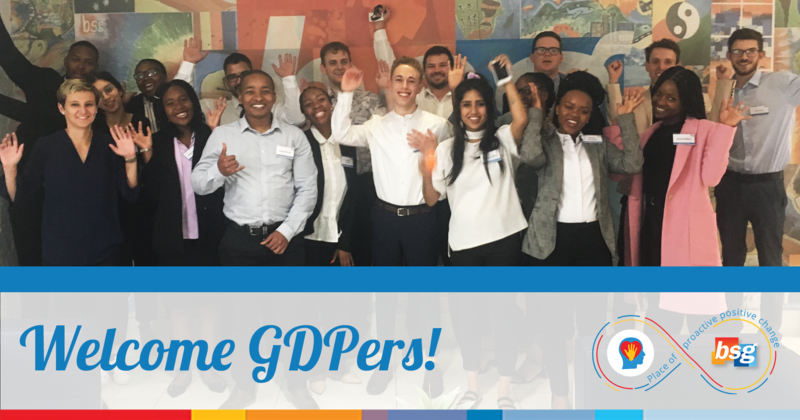 These 17 aspiring consultants and developers joined the BSG team, starting their GDP journey. Ahead of them is 12 months of challenging work assignments, coupled with formal training interventions along the way, designed as a unique BSG certification. The 12 month GDP programme starts with a one-week focused induction, enabling the new colleagues to integrate and start developing their eco-system within the company.